If you know me, you will know that I’m a highly critical person when it comes to the music I listen to, and very rarely do I ever give an album five out of five (no, neither will this album), but after that first song, I was hooked, and so I listened through the rest and downloaded the album. It has a folk, Americana/rock vibe that’s addicting and extremely joyful. It’s just a joy to listen to, and having listened to it about ten times in three days (I’m serious) it’s become one of my top favourite albums of the year. Before I go on, I want to note that these guys aren’t Christians, at least not in my knowledge, and usually I avoid secular music, but this is a fresh contrast from the crude and explicit songs we hear on the radio these days. In fact, this album has had more of a moral impact on me than a lot Christian artists. There comes a time where we need more than just “We glorify your name” songs. We need something that will teach us valuable lessons, like a proverb, and that is what the Guv’nahs deliver. The album begins with a beautiful folk beat with Where I Stand. A song bursting with hope and triumph as James sings, “I believe in right and wrong, I believe that no one’s born to lose.” It’s basically about standing up again after a fall, and continuing the journey. Very encouraging. Skip two songs ahead and we get to the heartbreaker, Dear Jamie. A song about a wife leaving her husband because “of the poison in his heart.” It’s a song about regret and a plea to “don’t break my heart.” The moral is the conseqences of treating someone you love wrongly. Under Control is a personal favourite of mine, beginning with a U2ish guitar intro. It’s about the fake control we have with wealth, but still not feeling free. “I want to know what it means to be free. All these things that I think I need, I just want to be free.” It then goes on to a story where he meets a girl, and wishing to marry her, yet because of his love of money above her, he now sings alone. Three Little Angels is the most heartbreaking song on the record, James sings “we need love to keep us moving forward, it’s no good to hold it in our hearts, and the hardest parts are yet to come.” This can easily be sung on Christian radio, and like I said before, a lot of these songs have morals that a lot of Christian musicians seem to be missing. But all these songs can’t compare to the closer: Canyons. An absolutely beautiful song. I simply collapse in tears with the lyrics “She wants be clean, but she doesn’t want for them to know all the ugly that she’s done and seen. Oh I wish someone would help me. Can you help me? Cause I just wanna be loved. It’s all that I’m holding onto.” The truth is, most of the time, people don’t need prayer. Jesus never said, “I’ll pray for you,” without first helping the person. He loved them and lifted them up. We need to love, and in the end of the song, the Guv’nahs do exactly that with the incredibly encouraging lyrics, “At the bottom of it all, that’s where you’ll find hope,” to end the album out. 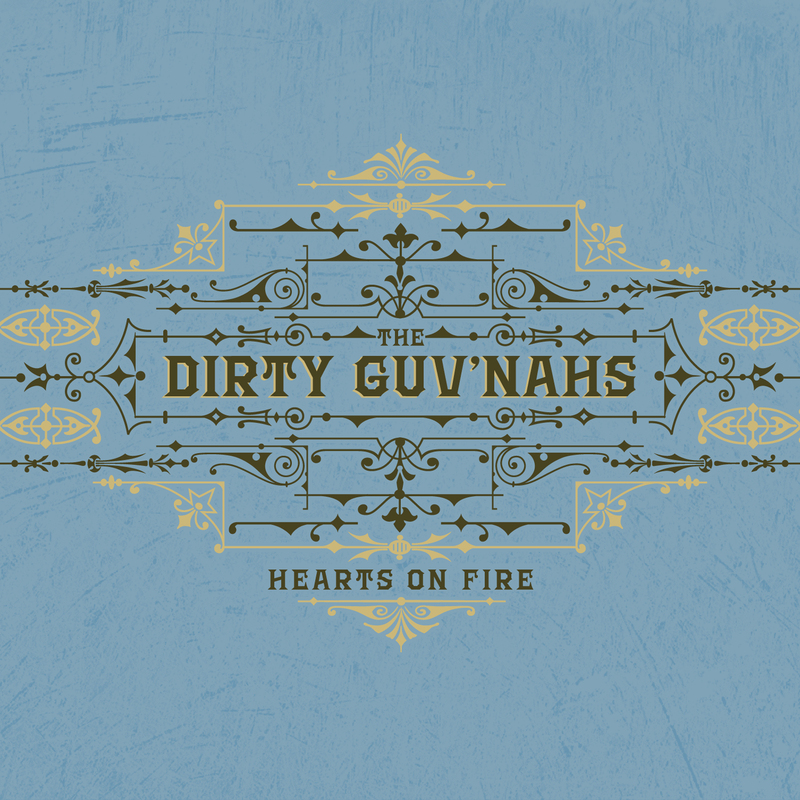 Overall, the Dirty Guv’nahs have released a stellar album of foot tapping songs that make your day a whole lot happier. And just because they don’t sing about God, don’t let that put you off. The Guv’nahs are easily one of the most lyrically clean secular bands I’ve ever heard. There’s basically not one objectionable lyric in the whole album, and that’s certainly a great thing. So I don’t know about you, but I’ll be happily dancing along with the Guv’nahs on repeat for a good while. And for one last week, their album is still free to download. Here’s the link: thedirtyguv’nahsnoisetradedownload. Next postOur Works Vs. Christ’s.